This topic contains 1 reply, has 2 voices, and was last updated by Sheila Hogg 1 year, 1 month ago. Hi All, I am not new to the campus, but am a novice at posting anything, so hope I can get this right! I had so much fun with the birdcage preset shape that Cassel shared with us, that I just wanted to share what I did with it. 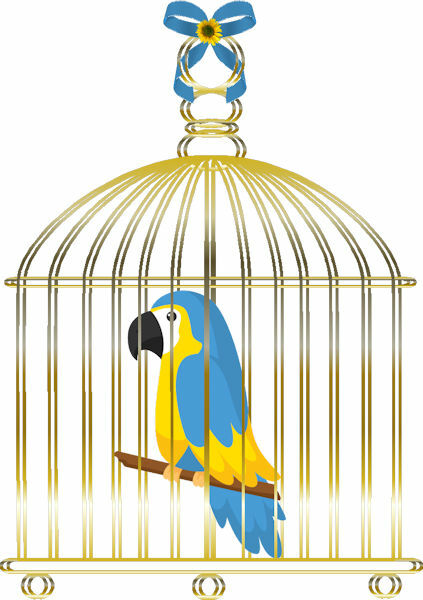 I wanted it to look like the parrot was really inside the cage, so – after changing the color with a gold gradient – I merged the vector group; duplicated that layer; and then added my parrot to an added raster layer that I moved in between the two cage layers. I then moved the bottom cage layer just slightly offside to show as the “back” of the cage. Simple. Then I added the bow just to show-off for myself. Hope you get a kick out it, as I did. 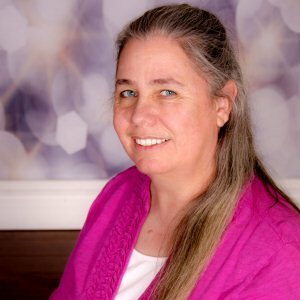 This topic was modified 1 year, 1 month ago by Annette Rhodes.